3 Reasons Marketing Agencies Are Adopting “Visit Intel” for their Customers – Turn Posted URL's and Website visitors into business opportunities. 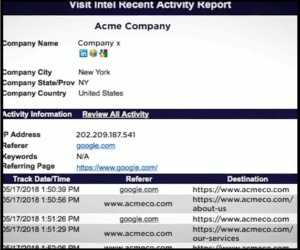 “Visit Intel” is a URL and Website Visitor Intelligence tool that provides businesses with the knowledge of which companies click on their posted URLs and website pages. It’s like Caller ID for your posted URLs and Website pages. We did not plan for “Visit Intel” to become a favorite for Marketing Agencies to White Label…but that is what is happening. As it turns out…companies are more apt to use tools from the companies they trust and already work with…. in this case their Marketing Agency Partners. Below are 3 reasons why Marketing Agencies are integrating “Visit Intel” into their suite of customer offerings. Synergy – Many marketers offer a wide range of services from lead generation, SEO, creating content and even website development. The URL and Website Visitor Intelligence that “Visit Intel” offers fit perfectly within most Marketing Agency offerings. Unless actual leads and/or sales increase… measuring the effectiveness of how your marketing partner is actually helping your business can be arbitrary and tough to quantify at best. 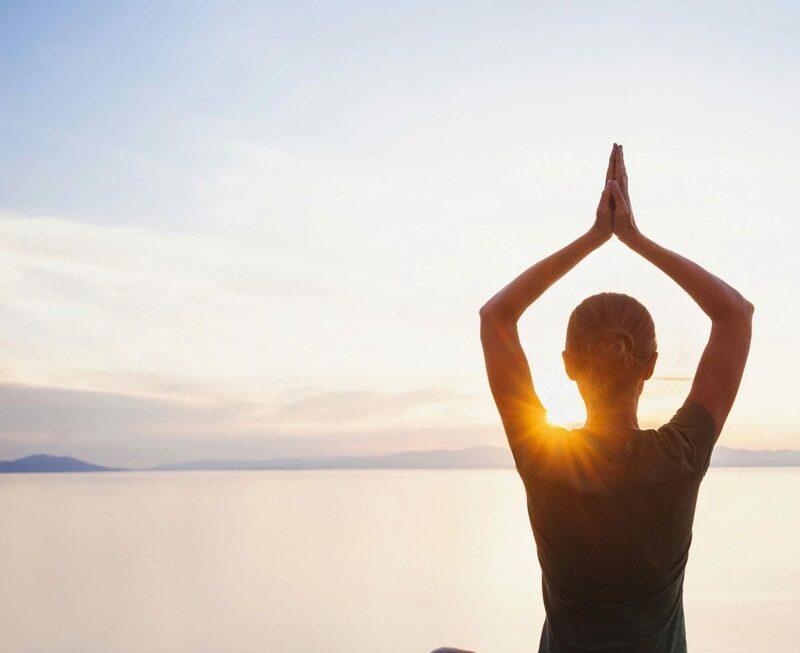 Marketers like the way “Visit Intel” can serve as a score card and verification that their efforts are adding value even if there is no measurable impact to their customer’s bottom line. How? Unless a person from a company identifies themselves to you in some way by opting in, filling out a form or even signing up for demo…they will remain anonymous resulting in lost opportunity. You will never know there was interest in your company. How would you know they were ever on your website or clicked on a URL link they found on LinkedIn in the first place? Why “Visit Intel” of course. Marketers create and distribute content through various channels like social media and email campaigns in effort to make your audience aware of your offerings. There is usually some “call to action” to get you to download a white paper, sign up for a demonstration/consultation or gasp…make a purchase. Even if someone starts filling out a form on your website and then gets distracted and does not finish…”Visit Intel” would still generate an automatic notification that would tell you that someone from a specific company visited your website and visited the page where they had to fill out a form. You will know what other pages they clicked through as well. This is incredible information. Maybe that person will be back and finish filling out the form they started. Or… Maybe you start to see a trend where many people visit that page with the sign up form…. but DO NOT finish filling out that form. This gives you the ability to react to this information…perhaps adjust that form and make it more user friendly and simpler to fill out. Short URLs: As I mentioned above…marketers are constantly posting URL links on social media and in email campaigns. These URLs could be Press Releases, Landing Pages or any other “Calls to Action”. While Google Analytics will give you the Clicks and Visits information…knowing which specific Companies clicked on your posted URLs and in some cases the actual person… is pure Gold. By using the “Visit Intel” SHORT URL generator for all of your posted URLs…you will understand which specific URLs were clicked and even more importantly WHERE they were clicked and…where those people go after that initial URL click. If you have a specific landing page URL and post that same URL to Facebook, Twitter , LinkedIn and as part of an email campaign ….by utilizing the “Visit Intel” SHORT URL generator…you will know where clicks originally came along with the company names of the people doing the clicking. This gives you the insight to understand where your audience is interacting with your URL posts the most. Are you getting more clicks from Twitter vs LinkedIn? Visit Intel will tell you this information plus the Company information. White Labeling – Although I love and am proud of the name “Visit Intel”… Many of our Marketing Partners prefer to Brand “Visit Intel” with their own logos, coloring etc. They White Label “Visit Intel” so there is no mention of the “Visit Intel” brand anywhere. A White Labeled version of “Visit Intel” will look like it belongs to the Marketing Agency you are working with but with the exact same functionality available with a normal “Visit Intel” install. There is a very logical reason they prefer their branding over ours. Marketers understand that the “Visit Intel” notifications represent a rare opportunity to stay in front of their customers every single day. The emailed alerts give them the elusive “top of mind presence”. This means that their customers will see their logo and branding and will be reminded throughout the day that THEY are the people who are delivering valuable information that is helping grow your business. The Notifications come in with “Visit Intel” branding all over it and from a visitintel.com email address domain. A marketing agency wants their customers to see THEIR branding, their domain and wants their customers to contact them if there are questions. Previous PostPrevious What’s all the fuss about SHORT URLs?